Stretches to fit steering wheels ranging from approximately 14.5" to 16"
Accessorizing your car is key to having a sweet ride. Our steering wheel cover will not only add the cool factor to your car, it will also make driving much more comfortable on your hands, especially on long road trips! If you already have your car decked out it will be the perfect last touch. If not, we offer many matching & coordinating car accessories such as car seat covers, car mats, decorative front license plates, seat belt covers, charms, decorative car magnets and decals for you to fully deck out your car! 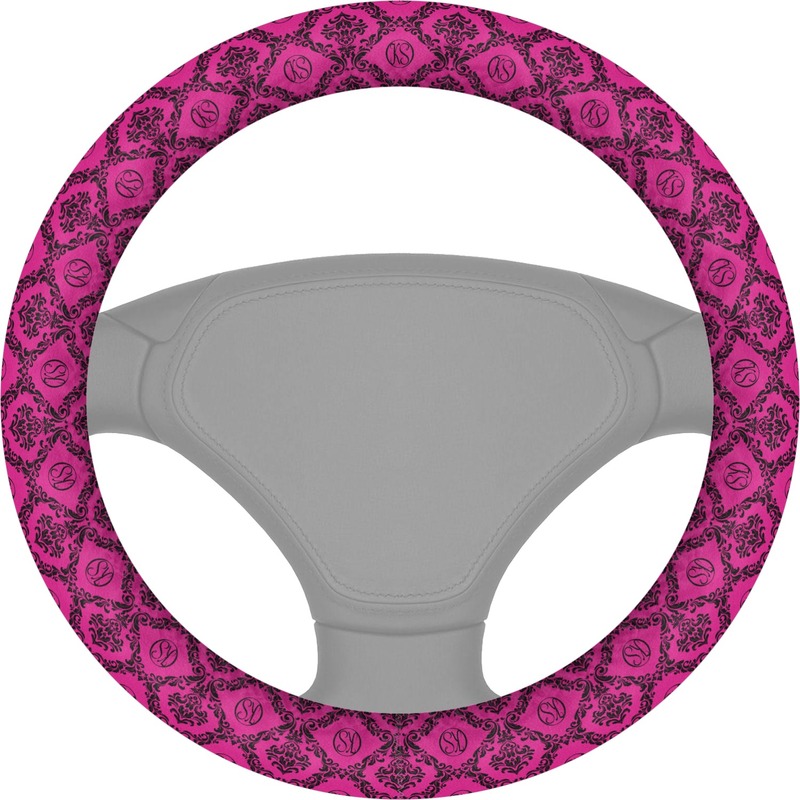 Our patterned steering wheel cover fits nice and snug on your wheel, so you may need an extra pair of hands in order to place it over you steering wheel! It will fit most steering wheels, but ranges from approximately 14.5" to 16". The material is a very soft and has a faux suede / velour feeling to it. It is 100% polyester with an elastic band inside of it. 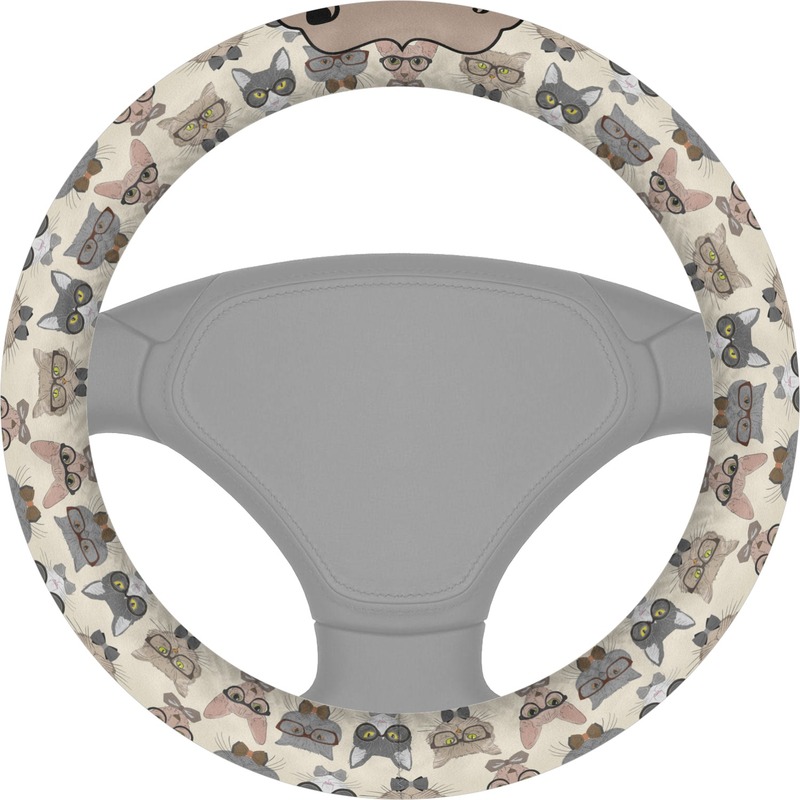 With our steering wheel cover, you are able to choose any pattern your heart desires! Pick something that will show your personality or even upload your own artwork! If you ever have any trouble in our design center, please don't hesitate to get in contact with us. We are always happy to help! Not going to lie, I thought this had a chance of being a scam since it was a Facebook ad. But I am EXTREMELY pleased with the products I ordered as a gift. 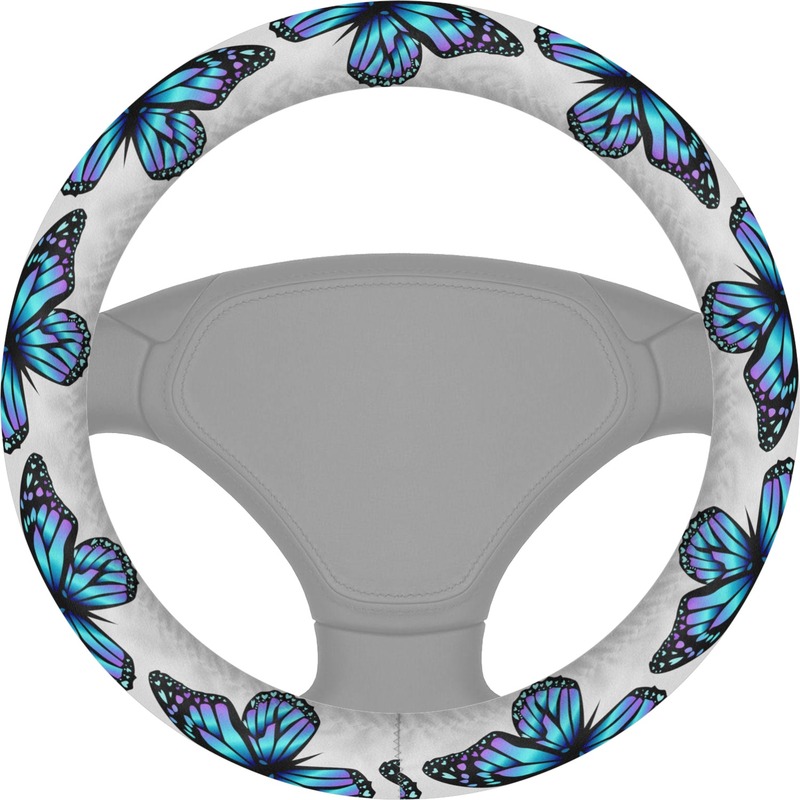 I ordered this and matching cup holder protectors. The steering wheel cover is so soft and fit perfectly, plus the grips help it from sliding around. They shipped quickly and nothing was damaged. I would totally recommend this site and plan on using it again in the future! Fits my steering wheel perfect. The colors are just want I wanted and picture is so clear! Exactly what I was expecting. Got my cover today and I love it. It fits perfect. I LOVE IT! Thought maybe little pricey, but was what I wanted and am not disappointed one bit!